Good day to all of you! It is time to keep up with the latest from us. 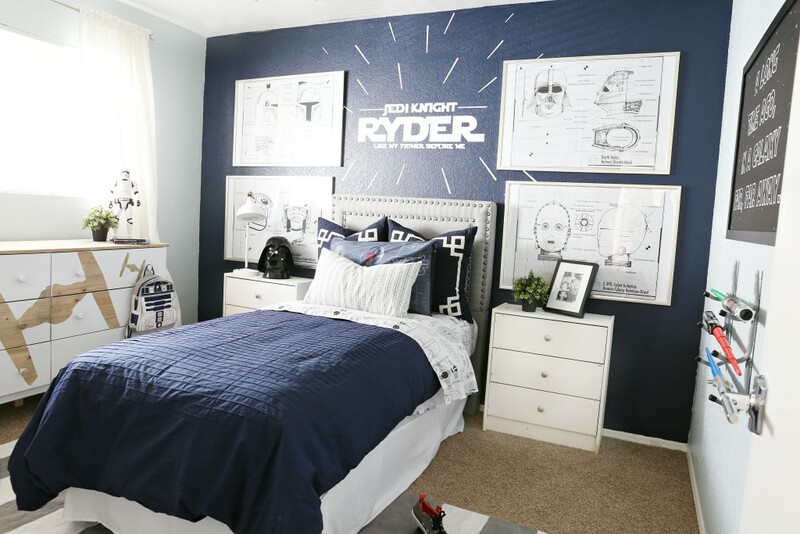 Your big boy needs a bedroom? At a certain age, kids no longer want the cartoon characters and would go for something different. 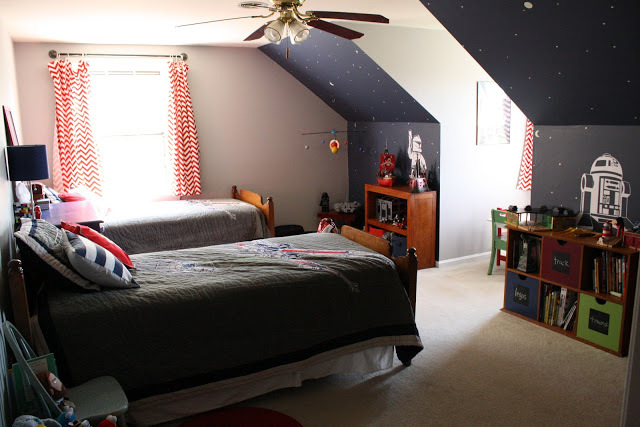 What theme should you choose considering the needs of a kid that is all grown up? 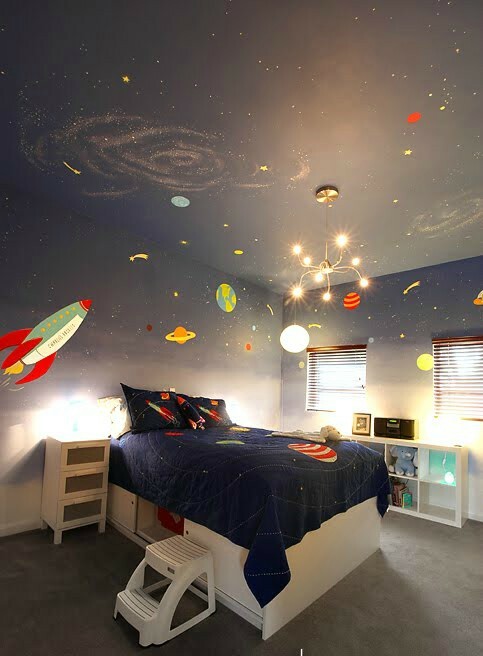 Many of the boys want to be astronauts when they grow up.So, why not consider a Space Theme Bedroom? I bet that you find this idea amazing. So, check the wonderful ideas that I prepared for you today and get your inspiration! 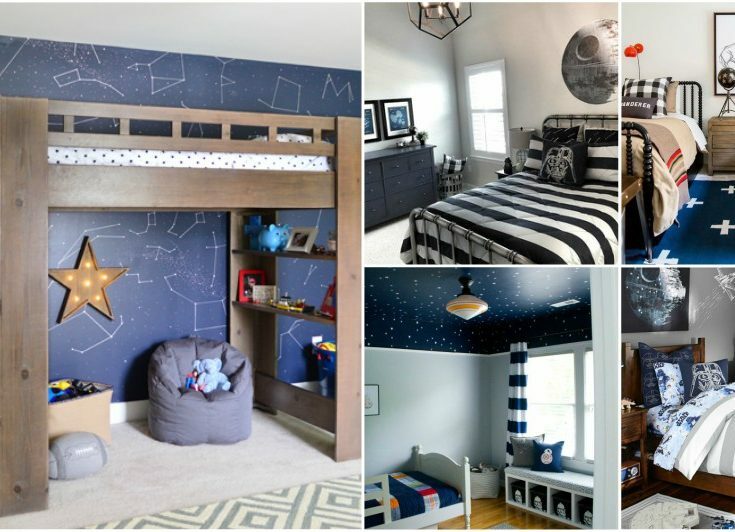 A space themed bedroom will amaze your boys! 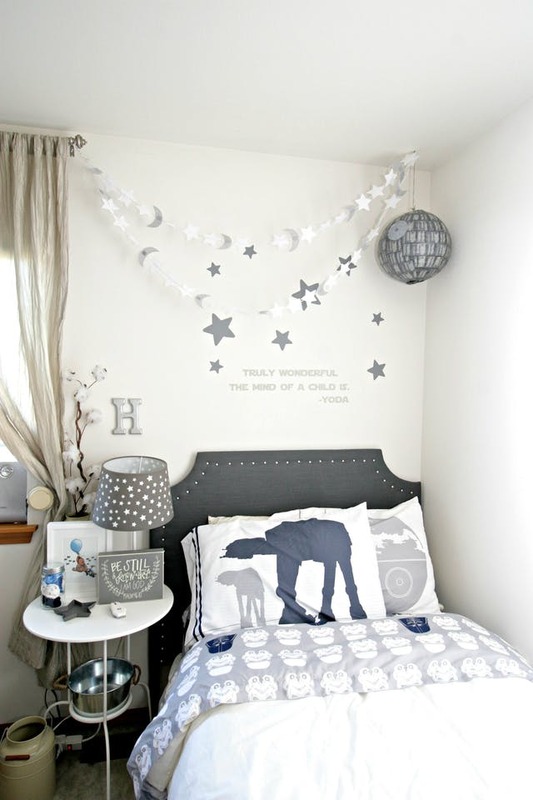 I bet that they will love the idea of having the space in their room. And this is a great solution for a teenager too. Keep in mind that as kids grow up, their tastes and preferences change. When they are grown up, they will no longer like Spiderman or Superman. And you will have to update the room. 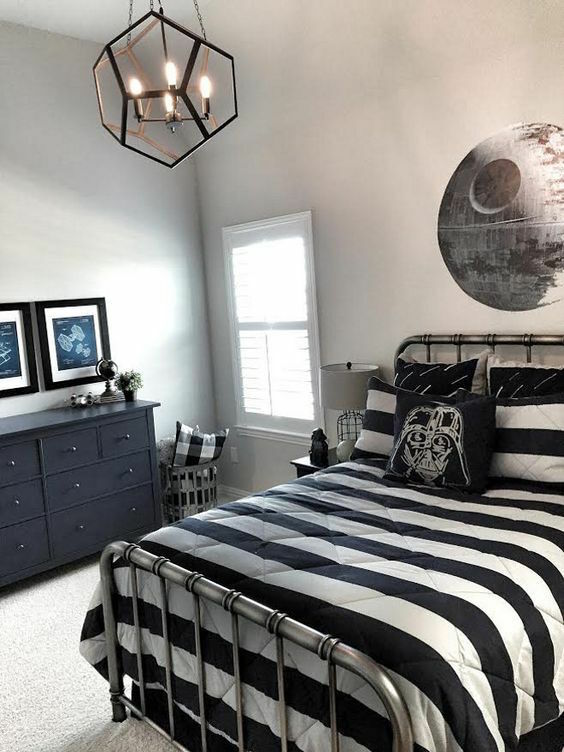 It is a good idea to pick a theme that is timeless, if you don’t plan to make remodeling often. And the space seems like a perfect pick. Check the gallery and see how to create one! 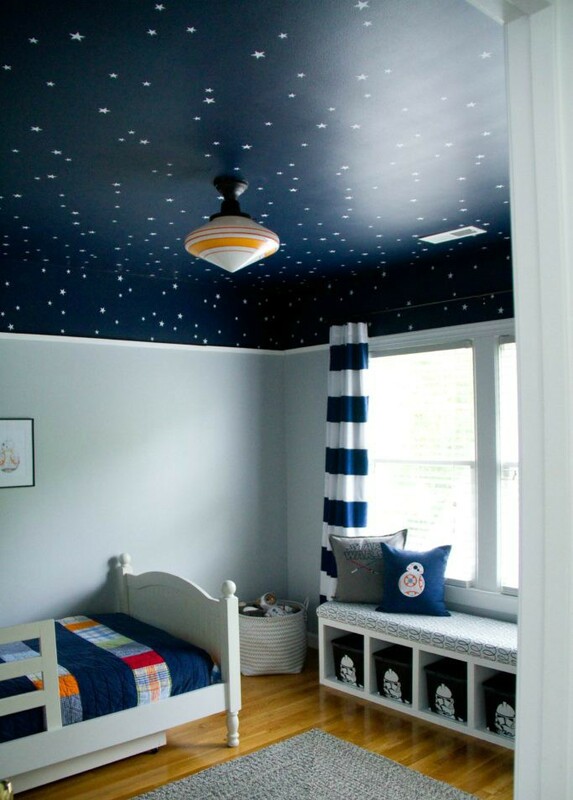 Choose different tones of blue and navy fro designing a space theme bedroom. 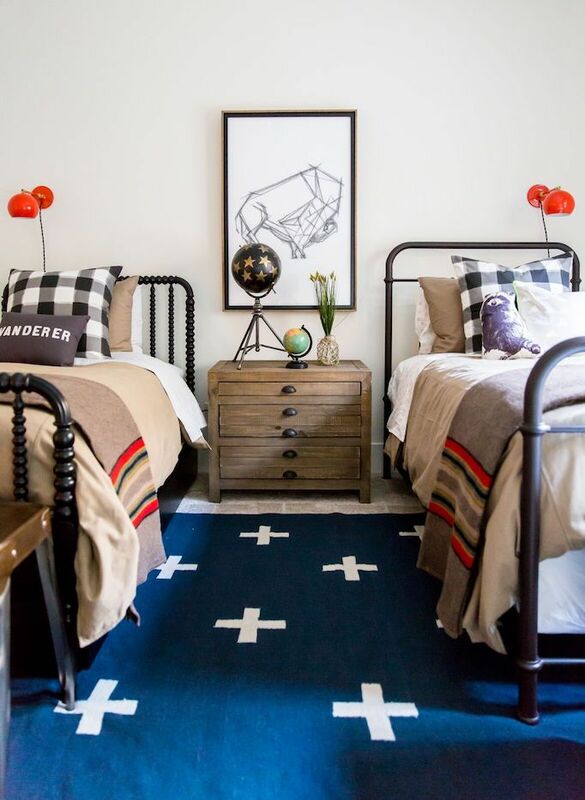 Keep the whole room in this colors. 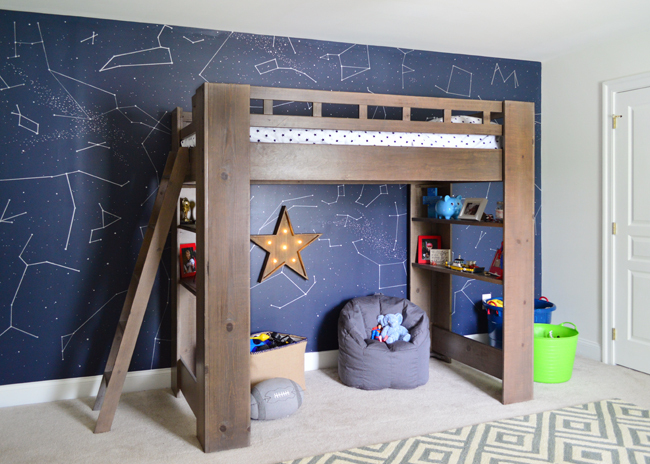 A starry sky is one great addition. 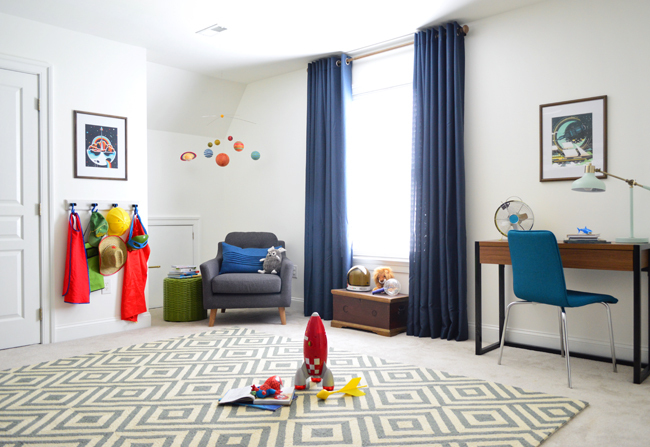 You can do it on the ceiling, or even create an accent wall. Do not forget the finishing touches! Work on the details to get the best results. Planets and spacecrafts are a nice addition. They will bring the special note in the room. 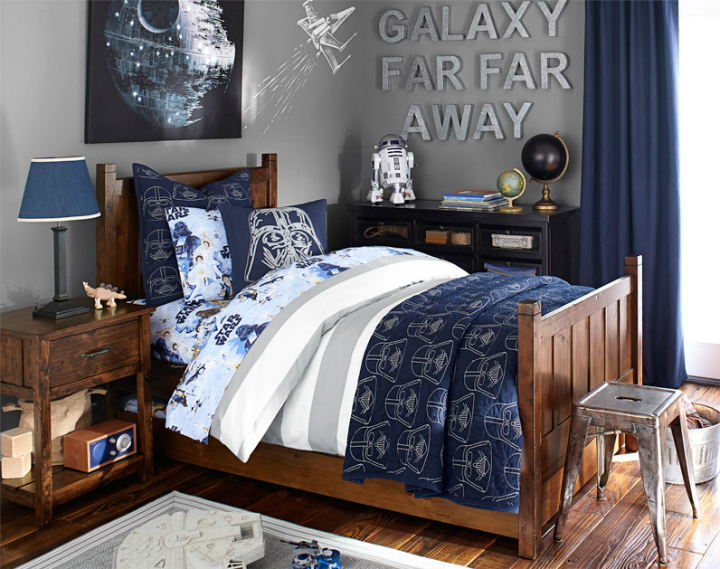 I bet that your big boys will love their room! So, what do you think? 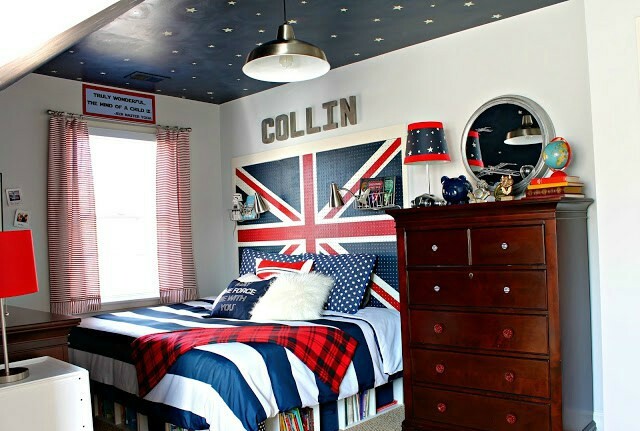 Would you decorate a boy’s room like this?